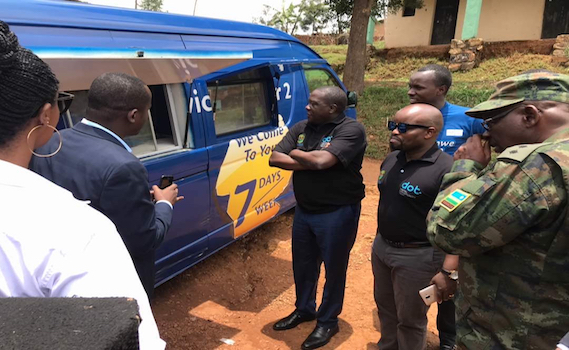 Tigo Rwanda, in partnership with the Ministry in charge of ICT, has launched a Smart Village Initiative of Tumba in Rulindo district of Northern Province. Located in Tumba Sector of Rulindo District, the Smart Village project, launched on Friday, will cater for a population of 21,000 and an estimated 5,000 households. Tigo will support the initiative through connectivity, digital literacy and financial inclusion. Chantal Umutoni Kagame, Tigo Rwanda Deputy Chief Operating Executive, said that the company will provide 3G and 4G connectivity. “Alongside our partners, our VAS (Value Added Services) trainers are teaching residents how to utilize the Internet, thereby opening the digital world to them,” she said. “Using our various Mobile Financial Services, residents can now enjoy Tigo Cash services such as Push and Pull, which allow them to move money to and from their bank accounts using their handsets,” Chantal Umutoni Kagame added. During the launch, Tigo also provided feature phones and smartphones to residents at lower prices. The telecommunication company has also created a platform that allows unbanked local savings groups (Ibimina) to digitize, through its Digital Saving Groups.